1. 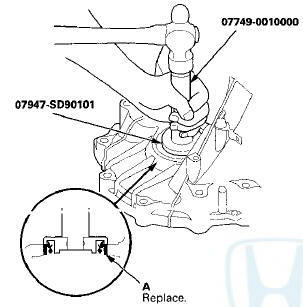 Remove the oil seal from the transmission housing. 2. Remove the oil seal from the torque converter housing. 3. 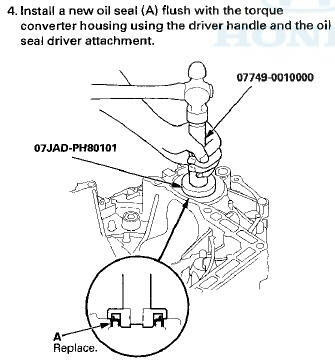 Install a new oil seal (A) flush with the transmission housing using the driver handle and the oil seal driver attachment.